Such A Drag! See What Kristen Stewart & Anne Hathaway Would Look Like As Men In Jenny Lewis’ GIRL-tastic Just One Of The Guys Video!. Jenny Lewis has created a summer chant for all us girls. The above video includes some of Hollywoods most famous and fashionable women, breaking it down. Check it out! I’m sure you will love it. 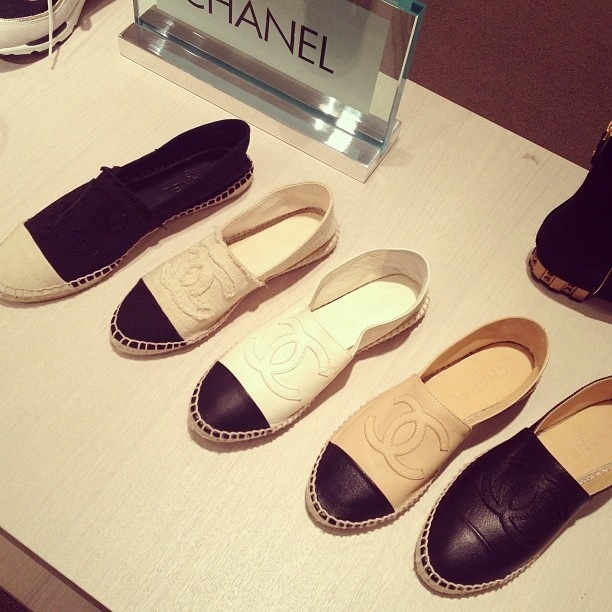 I have been looking for a new summer shoe, and have had my eyes on the Chanel espadrilles for a long time. They are the perfect summer shoe… wear them with jeans and t-shirt, bikini or summer dress. Now I just need to save my pennies as these puppies have a price tag. Hope you all had a fantastic weekend! 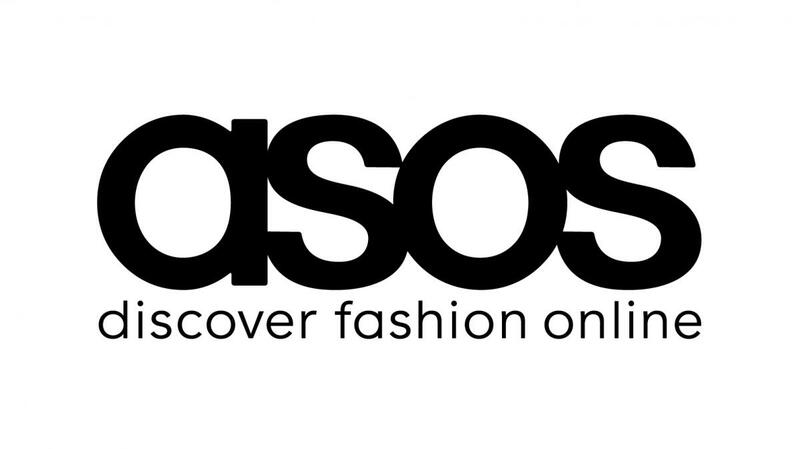 Here is a helpful shopping tip this Tuesday evening… ASOS the King style website of the world, is having a summer sale! So go grab your flip flops, bikinis and dresses… and have some fun. It’s that time of the year again… SUMMERLICIOUS! For those of you who haven’t had the honor of being apart of this delicious event, summerlicious is a two week mouth watering experience in which Toronto restaurants open their doors to the public and serve exceptional food at low prices. You can enjoy three course meals, or dinner menus in more than 200 restaurants. It is a fantastic way to try something new. Every year I fall in love. Summerlicious will be running July 4th – 20th, however do book a table ASAP from my experience spots fill up FAST! I’m back!! After a lovely long weekend, some time to catch up with family and friends, and enjoy Canada Day… I am back and ready to get BLOGGING! After a night of fireworks to celebrate Canada Day… my mind has wandered to the fact that America will be lighting up their skies with fireworks this Friday for Fourth of July. So I have decided to do a blog post on ways my American friends can incorporate their flag into their lives this Friday. Clothing… probably the most obvious way to incorporate your flag. Their are many different clothing items promoting the American flag available for sale on the high street. However you don’t have to deck yourself from head to toe, you could just use one item… or create an outfit of red, white and blue…. e.g red top, blue shorts, white shoes. Many of you will be getting your kit off this Friday… I am sure!… whether it is at the beach, back garden, pool whatever… everyone seems to get a little naked on July 4th. So show your patriotic by plastering your flag on your private parts! There are lots of cute bikini’s available at places like American Apparel, Target, Nastygal. Having people over? Or just hungry? 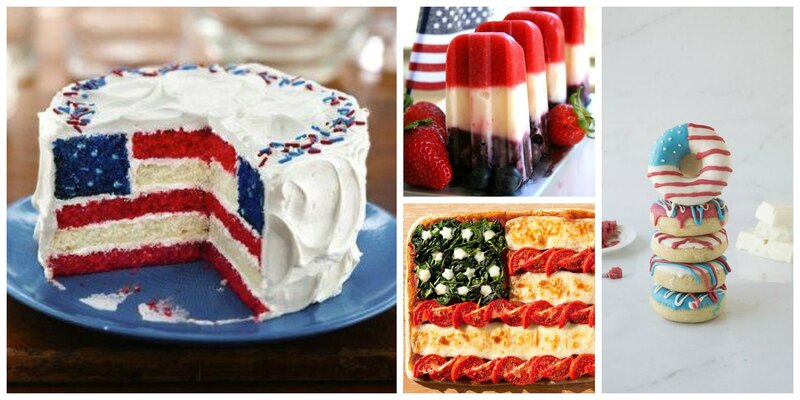 Food is the way… not only is it delicious but you can have some fun by adding the American flag into your meals. Why not bring some of that pride indoors, adding decorative pieces to your interior is not only being patriotic but also making your space look great. 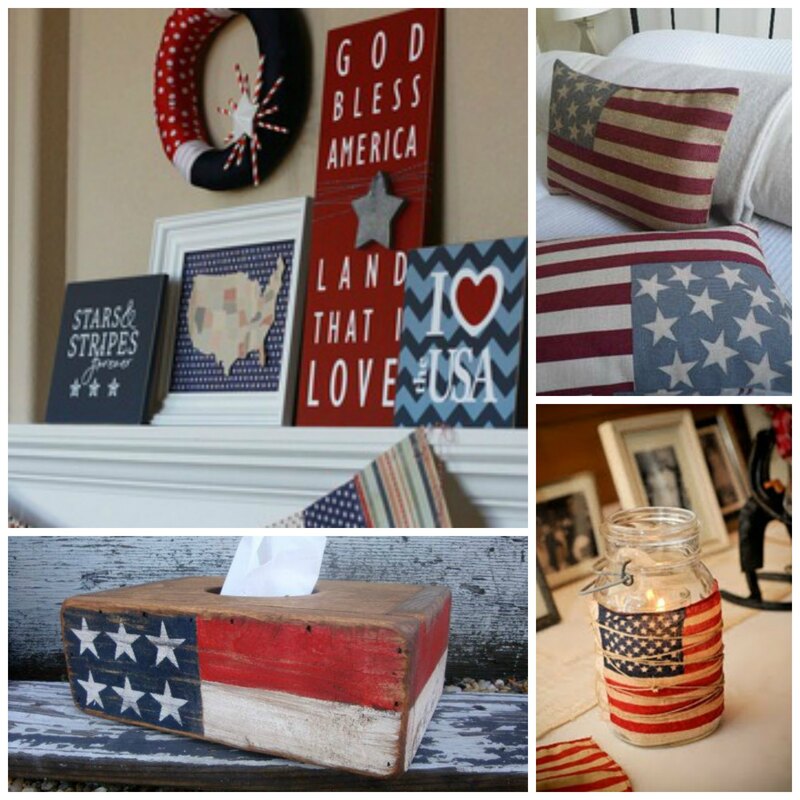 There are so many DIY ideas online to add some flag into your house. Now all that’s left to decorate is your car. You don’t have to paint the whole thing in an American flag… unless you want to, and if in that case don’t hold me responsible. 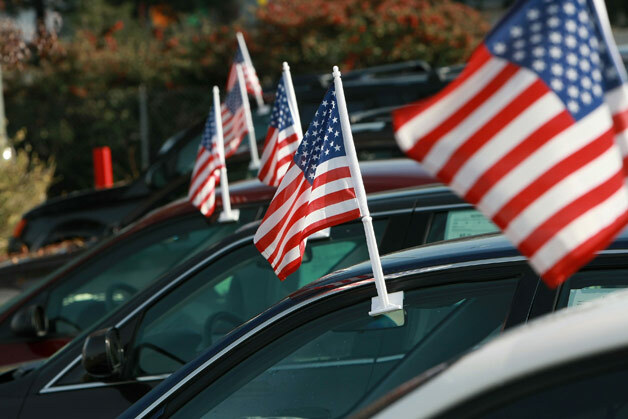 You can add a simple car flag… these are super cheap and easy to get a hold of… especially with the world cup going on. I hope you all have a fantastic July 4th… and an amazing long weekend! Be safe and have FUN. I am away for the long weekend… Hope you all enjoy your time in the sun. Oh also here is a little shopping trip … Prada Spring/Summer 2014 collection… discounted! So to put a damper on your summer (no pun intended), if you are in Toronto then, the heavens have decided to piss down on us today. So there really isn’t anything else to talk about but summer rain fashion. On a rainy day … whatever the season… we look in our closets and always tend to pull out the darkest shades available… black, grey, navy blue. This is all perfect for me as I live in black and grey. Above are some outfit ideas for you to stay fashionable in today’s sucky weather. Stripes seem to be the go to print during the rain… no idea why… but I dig it. For this look I paired a striped Dr Denim ‘Blair’ long sleeve top, with Bershka’s boyfriend jeans… on the foot Saint Laurent studded Rangers boot. Don’t be afraid to add pops of color in your accessories, for this I added a Aldo necklace…. oh and don’t forget your brolly, this one is from Pasotti. Black … it goes with everything and suits pretty much anyone. Just because it’s raining doesn’t mean you still can’t rock the short shorts look, these are from Sheinside. If it’s a little chilly out pair those short shorts with a little extra coverage, add a big comfy sweater like this one from Enzyme. Add a little boot to keep those feet dry in the puddles… and these boots are actually from Payless! And of course compliment your look with some accessories, such as this sun, moon and star necklace from Charming Charlie…. and this rock star umbrella from… obviously… Alexander McQueen. Just because it’s raining it doesn’t mean you have to stay inside, or wear a plastic poncho. You can look fashionable in the rain… rock those brollys!